The grandson of Irish immigrants, Rodolfo Walsh was born in a small town in Patagonia in 1927. He wrote crime fiction and worked as a translator before publishing Operación Masacre in 1957. 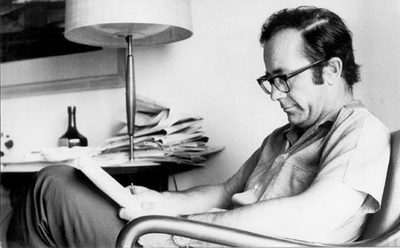 Walsh then traveled to Cuba in the midst of the revolution and launched a newspaper in collaboration with Gabriel García Márquez, among others. Upon his return to Argentina in 1961 he was shunned by the journalistic community for his connections to the Cuban Revolution. In 1972, Walsh updated Operación Masacre for the fourth and final time before joining the radical leftist group, the Montoneros, the following year. A day after submitting his now famous 1977 Open Letter from a Writer to the Military Junta, Walsh was gunned down in the street by agents of the state.